Thousands of UFO sightings are reported every year but not many countries are willing to spend money investigating them - there is just one dedicated state-run team left in Europe. Is France onto something? You don't need a time machine when you visit the French Space Centre headquarters in Toulouse - it's already a throwback to the 1970s. Green lawns sweep onto to wide boulevards with stout long rectangular office blocks on either side. It's almost Soviet-style in the heart of southern France. There are few signs of life even though 1,500 people, most of them civil servants, work in boxy offices along narrow unappealing corridors. France has the biggest space agency in Europe - the result of the 1960s space race and President Charles de Gaulle's grand determination to keep France independent of the US by building its own satellites, rocket launchers and providing elite space research. An offshoot of all that - France is the only country in Europe to maintain a full-time state-run UFO (unidentified flying objects) department. There used to be one in the UK and another in Denmark but they closed down years ago due to budget cuts. 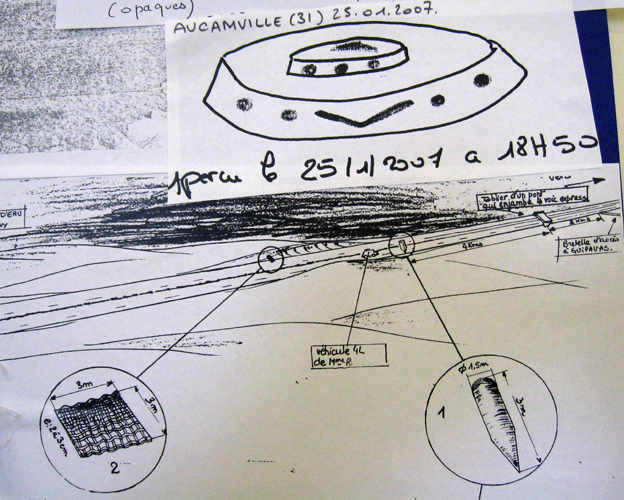 France's UFO unit consists of four staff, and about a dozen volunteers who get their expenses paid to go on site and look into reports of strange sightings in the skies. The team is called Geipan. 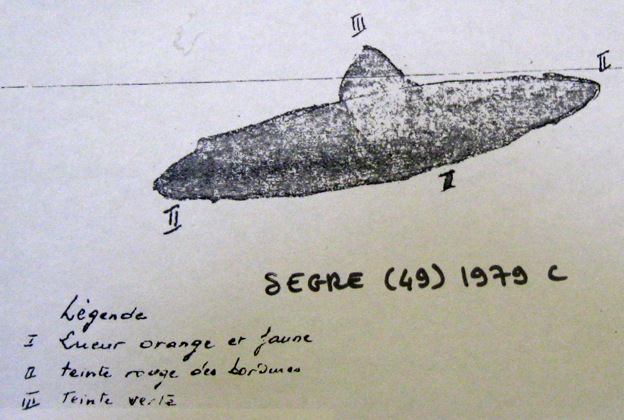 That's a French acronym for Study Group and Information on Non-Identified Aerospace Phenomenon. If someone claims to have seen strange lights in the skies, the UFO team might go online to see whether the observation took place on a flight path - it can trace commercial air traffic going back more than a week. For what it's worth and for those who suspect there's conspiracy afoot, Passot tells me he has never covered up a UFO sighting. I take a look at some amazing photos of strange lights and circular forms caught on camera. One, taken by a motorist, of a white ring shape above Marseille is particularly grabbing (the image at the top of this page). But the team figured that one out - it wasn't invaders from Mars, just the reflection of a small interior overhead light in the car.